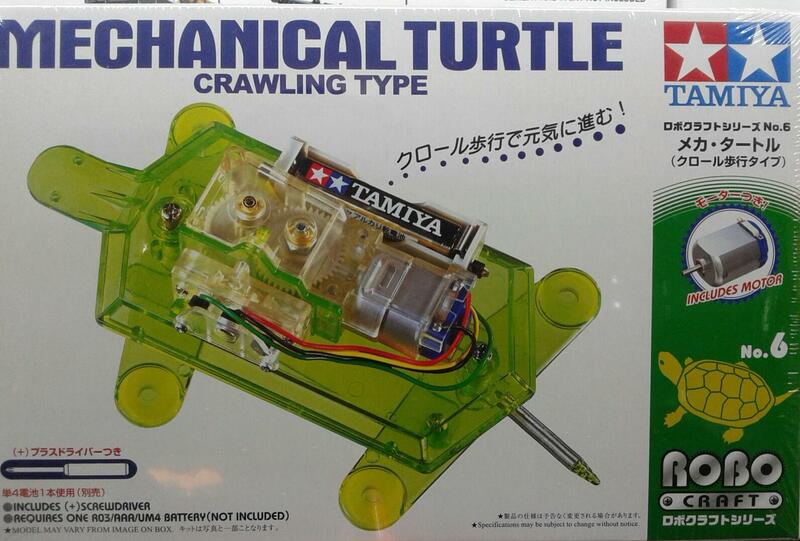 MECHANICAL TURTLE CROWLING TYPE. TORTUGA MECANICA SE ARRASTRA CON LAS 4 PATAS AL TRANSMITIR EL MOVIMIENTO DESACELERADO DEL MOTOR CON UNA CAJA DE TRANSMISION .HECHO EN ACRILICO TRANSPARENTE PARA OBSERVACION DEL MOVIMIENTO. ROBO CRAFT SERIES. INCLUYE MOTOR Y DESARMADOR DE CRUZ. REQUIERE UNA BATERIA R6/AA. NO INCLUIDA.